A motherboard is one major lifeline of a laptop. 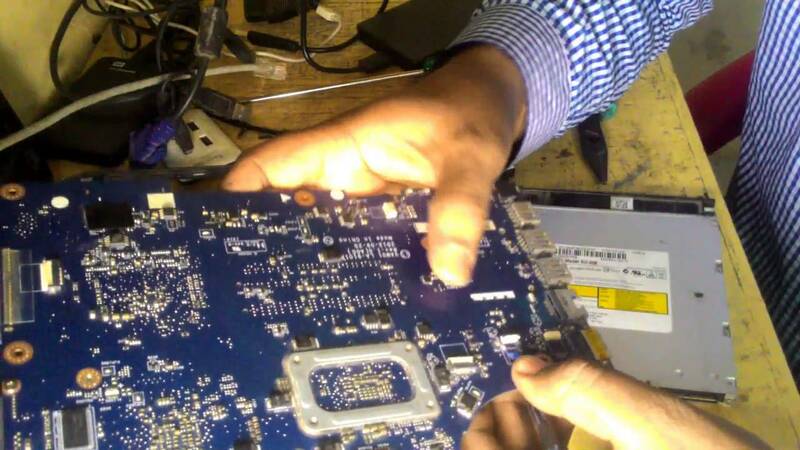 Laptop motherboards are more exposed to damage than desktop motherboards. The motherboard is the most significant part of a laptop after the processor. It controls nearly every component and handles the input and output of data to and from each part. When a motherboard begins to fail it can be a serious problem that can be expensive to fix and severely affect the usability of the machine. If trouble arises with your motherboard, do not attempt to fix yourself. It’s best to give your laptop motherboard repairs to a trusted laptop repair company. Computer parts gets damaged all the time but some specific symptoms points to motherboard failure. These include laptop screen goes dim, laptop freezing or shuts down randomly while in use, discoloration on the laptop screen, issue with laptop battery charging, laptop operates slower than expected and generates heat, laptop rebooting constantly. Most common causes of motherboard failure. The number one culprit for almost any failing component in a laptop is heat. Excessive heat is usually caused by poor ventilation, which could be blocked vents on the laptop or even a fan which is failing to cool the laptop correctly. Excessive heat can cause the motherboard to warp, which can make components on the board fail. It can also loosen solder points on the board, causing components to lose contact or short, causing motherboard failure. In nearly all of these cases, a replacement of the motherboard is the required fix. Another common cause of motherboard failure is electrical damage. Commonly this occurs during computer maintenance such as installation of new peripheral devices. During maintenance, if the technician has static electricity built up on his or her hands, it can discharge into the motherboard, leading to a failure. The last common cause of motherboard failure is physical damage. This can be in the form of water damage or actual physical impact. Although the motherboard is typically well protected, a strong enough hit to the computer case or the introduction of water into the case can lead to motherboard failure. There are many cases when a motherboard has a problem that cannot be fixed, and a new motherboard must be put into the laptop, if the motherboard needs to be replaced, it could end up being a VERY expensive fix. It’s advisable to just buy a whole new laptop rather than getting the motherboard replaced. At Kwam-iT, we help individuals and businesses recycle laptops responsibly while ensuring sensitive information never falls in the wrong hands. We collect any brand in any condition. Hi, I do think this is a great site Causes of motherboard failures. Causes of motherboard failures. – kwam-iT UK Recycling Blog . motherboard failures. – kwam-iT UK Recycling Blog .